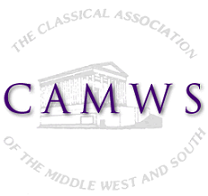 CAMWS invites schools, colleges, universities, publishers and classical organizations to become institutional members of the organization. Please note that the benefits of an institutional membership differ from those of an individual membership. Use this form to designate your student honoree(s). Please subit it no later than May 15th for each academic year.